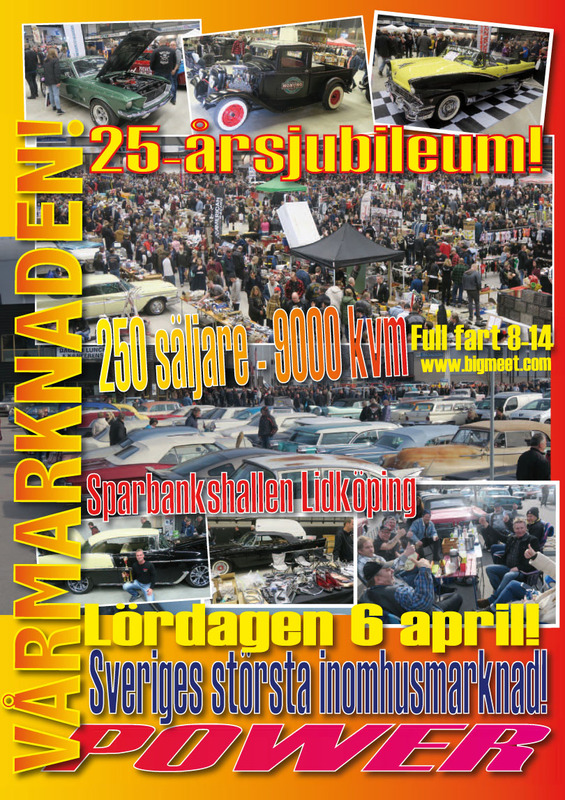 Come and get one of the 6.000 Power Big Meet Vanity license plates given out FREE at the entrance to Power Big Meet 2017 in Lidköping! They sell for appx €50 and up on the open market! 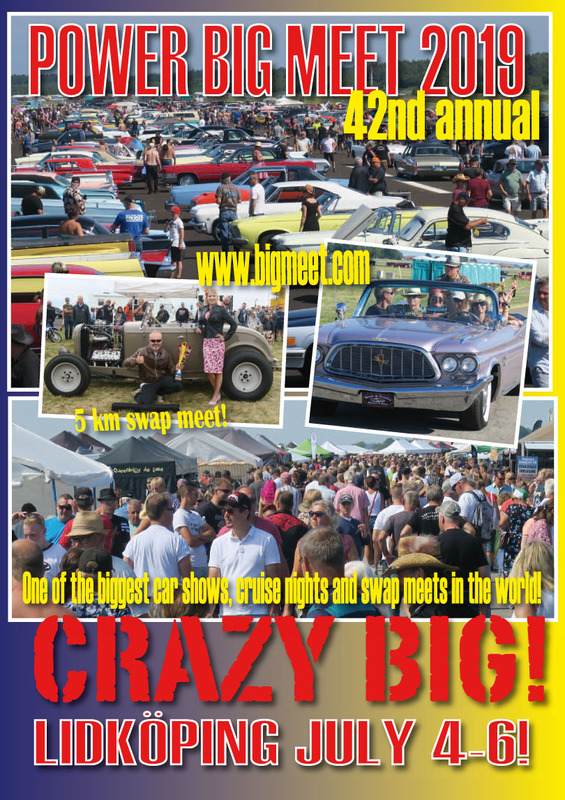 If you have visited Power Big Meet in an american car you have probably been given a Big Meet license plate entering the gates in your American made car. They were first given out in 1987 (87-89 made of cardboard – since 1990 made of aluminum) and they have become quite a collectors item. The new ones sell of around €50 after the show. A whole complete collection has sold for €2000 (as of May 27 2017) on the Swedish webauction sight Tradera. The record for one plate is €380! The amount was paid for a 1987 cardboard plate in perfect condition. 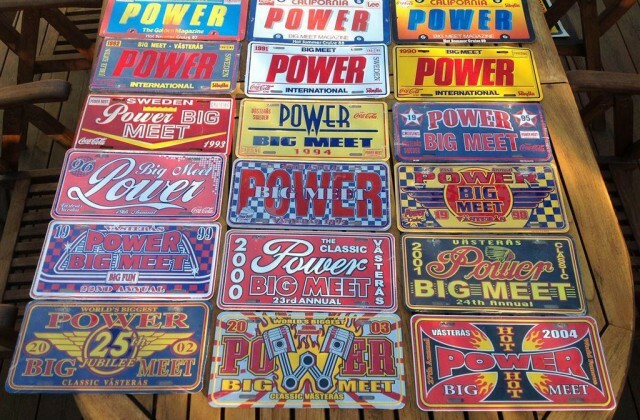 Remember these vanity plates have been given away free by the Power Big Meet event organizers! First come – first served!